The term ‘carrier oil’ is used often when you read about essential oils and how to use them. So what is a carrier oil exactly? Well, it is an oil of your choice used to dilute (carry) your essential oils. This way you are avoiding applying the essential oils directly on your skin. A carrier oil can be ANYTHING you have, and yes, even the vegetable oil you use for cooking. MY choice though, is coconut oil. It’s greasy at first, but it certainly hydrates the skin beautifully! I have used liquid coconut oil and vegetable oils too, but I stick to the solid coconut oil from Everland. it sets and blends beautiful and is much less greasy and messy to use as a moisturizer. The liquid oils are runny and difficult to work with, but they are great for other applications though! The best day time blend I’ve created is very simple…. 1 teaspoon of honey (I’m lucky to have a bee farmer near by where I get mine). I didn’t get this recipe anywhere, seriously, it’s my own experiment but it works for me! So that above combo is a great day moisturizer but at night, I like to use citrus essential oils! Grapefruit has great acne fighting benefits and is a wonderful ‘pick me up’ smell! Be careful using any citrus blends through the day as citrus essential oils will make your skin vulnerable to UV rays. Try onyl to use those citrus essential oils when you’re not headed outdoors for the day. THEREFORE my night time recipe is REALLY simple… I put a bit of coconut oil into the palm of my hand and add a drop of grapefruit essential oil, blend it in my hand and apply to the face! That’s it, simple and effective.. and inexpensive too. If I mix to much moisturizer at any time , my hands and arms get a bath of the moisturizer… It’s a perfect way to smell great! When preparing batches ahead of time, use a glass container to keep it in. The 50ml is nice, but if you’d like to make small batches of different kinds like I do, go with the 30ml containers. Now when the term ‘carrier oil’ comes up, now you’ll know what the heck it means! Exactly that, the oil carries your essential oils. And as mentioned, this can be any oil at all. From vegetable cooking oil to massage oil, you can even add essential oils to unscented lotions if you’d like. Experiment a little, have some fun with it. The biggest thing to remember is apply it well before you head out for the day or well before you put your head on the pillow at the end of the day, give it time to dry or you’ll have shiny skin at work for a while and have a grease stain on your pillow LOL!!! 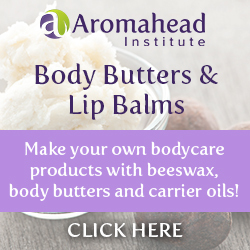 ← DIY Lip Balm; using YOUR essential oils! I read an article on cleaning your face with oil, and the premise being that “like removes like”, which is why mechanics use oil based products to remove the grease from their hands. I was using olive oil with castor oil as a carrier, but it felt so thick. I have since started using straight coconut oil, and it makes my face feel so soft! I also use coconut oil to moisturize my feet, especially now that it is flip flop season. Great article! I am just this year learning about essential oils, so I will have to try your recipe when I get some oils. Hello Irma and thank you! I have tried using olive oil in the past but found it quite messy and almost too greasy for my skin… so I started using coconut oil a few years back. After going through a few brands I came across Everland and quickly became my favorite! Another use for coconut oil is that is is the best make up remover too, then it doubles as a moisturizer = win-win! I started experimenting with adding essential oils just for fun and scent but then really started looking into which oils would benefit certain skin conditions and which would be best etc… If you ever have any questions, give me a shout out! I’d be happy to help 🙂 Take Care! Thanks for the very informative post. I have been struggling alot with the dry skin issue which gets worst around winter time. I did think about coconut oil but moved on because it was too greasy. Its amazing to hear about solid Everland Coconut Oil. This is the kind of thing I was looking for. Will definitely give it a try..!! Thank you Fred! I’m glad you enjoyed the post… as long as you give your skin time to dry, using coconut oil can be one of the most versatile products in the house. Not only is it healthier to cook with, it is healthier to use as moisturizer as well! It has been my go-to product for many years, as I have extremely sensitive skin. Give this coconut oil a try and remember to give your skin time to dry 😉 If you have any other questions, please reach out… take care! That is really cheap and I think that will make my mother happy, I will definitely get one for her and suggest your blend. I hope it will work for her too. Thank you for connecting Furkan! I’m sure your Mother would love this oil… some Frankincense and Lavender mixed in would be good for her too… If you do get her onto using coconut oil as a moisturizer, do advise her to let it sit and dry on the skin a while as upon first applying it is a bit oily. Then this element of surprise with having oily skin for 10-20 mins will not ruin the experience when first trying coconut oil. I appreciate your support, take care! Great information. 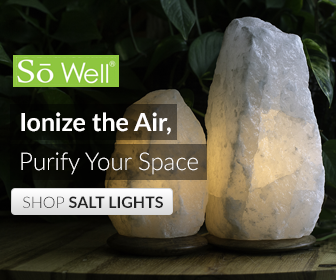 Currently I am using lavender and peppermint essential oil with a diffuser for my home. I haven’t tried them on my skin before… maybe I should. I used to think that if you apply it on your skin, you will feel oily the whole day but you have already clarified that thought in your post. Hello Alex! Many that try coconut oil are disappointed with the oily factor and then will not give it an honest chance. This is why I touched on the fact that it needs time to set into your skin. Coconut oil (particularly the Everland brand) has turned into my best moisturizer and it has many other wonderfully healthy attributes in the kitchen as well! Thank you for connecting and have a great day! This would be a great option for me because I love using organic products and I use coconut oil a lot but mostly when I am cooking. I would like to try your moisturizer blend, it looks very easy to prepare. Where can I find the oils that I need and can I use something else instead of the honey? Hello again Paulina!!! I just have to say I love your website mylifewithyoga.com!!! Yoga is a HUGE part of my life and love learning from others… I will keep checking in with you 😉 You can just omit the Honey if you’d like, OR melt a little beeswax instead (less sticky). I have made it without honey, with honey and also with a little melted beeswax, all work great! The reason I add the honey is for the natural benefits, the enzymes in raw honey clarify, nourish and hydrate the skin. What a great idea on the coconut oil for hair subject… I actually do soak my hair in coconut oil with a few drops of lavender once a week… I will write about that for sure… keep checking in 😉 Take care! Unfortunately coconut oil clogs my pores when I use it on my face but it cured a skin condition on my legs when I was using it as a shaving “cream” for one year. I don’t use it anymore as it clogs the drain so bad and makes the tub super slippery but I am grateful for its healing powers.